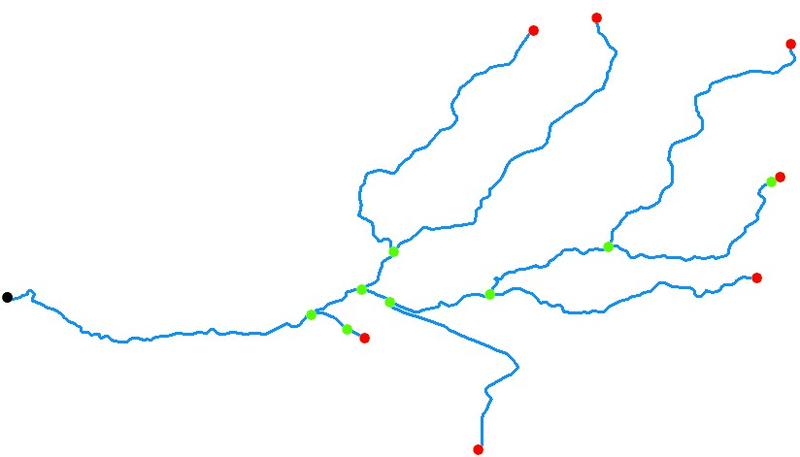 •The nodes of the network are an important component of a river network. They are the locations where polylines connect to each other. •A polyline is made up of vertices and the end vertices are referred to as nodes. •If you have made any changes to the network, such as deleting or moving polylines you must rebuild the associated node information. •Stream ordering algorithms require the network to have correct node information for it to process correctly.